Source: Lincoln County Veterans Memorial, Lincolnton. Photo courtesy of Rusty Long. 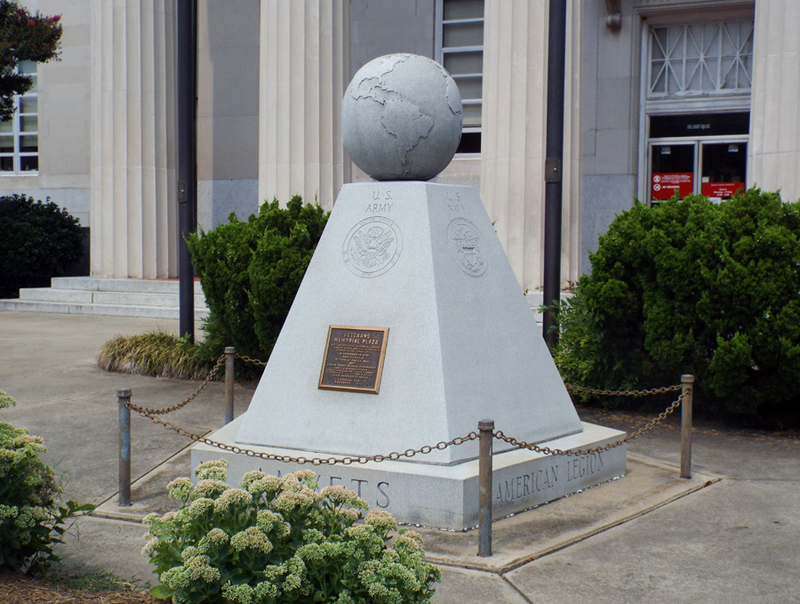 This granite monument features a globe that rests on top of a tapered pentagonal plinth and short base. The entire work stands about three and a half feet wide and four feet tall. Each of the five faces displays a branch of the armed forces and its insignia, and a veterans’ organization at its base. There are two plaques, one on the western face and a later one on the southeastern. The plaque facing west was fist dedicated in 1970 to the citizens of Lincoln County who had served in the armed forces. Originally the plaque was on a fountain but it was moved onto a granite monument in 1993. The memorial was either paid for with money donated by the Board of Commissioners or by citizens of Lincoln county; sources differ. The monument was erected on November 11, 1970 and re-dedicated (adding a plaque) on September 12, 1993. The monument is located in front of the western entrance of the Lincoln County courthouse. The primary streets of Lincolnton (East and West Main, and North and South Aspen) radiate from the courthouse square; the monument sits across from the beginning of West Main St. The western face of the monument is flush with the street, and the corner between the northeast and southeast faces points directly to the courthouse. 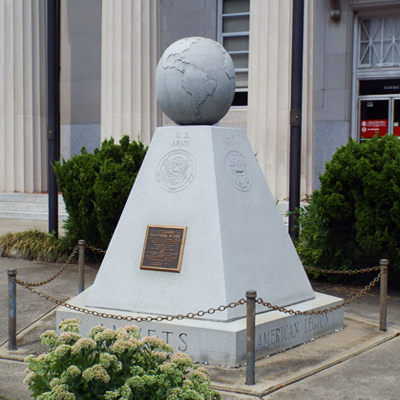 The surrounding courthouse square is dotted with historic monuments, including the Confederate Monument that sits right to the left and the Lincoln County War Memorial located at the eastern entrance of the courthouse building. A rock with embedded plaque memorializing the 1780 Battle of Ramsour’s Mill is on the North side of the courthouse. The monument to Admiral Rufus Z. Johnston, Medal of Honor, is located to the right of the western entrance of the Lincoln County courthouse. The monument stands on the lawn surrounded by bushes. Veterans and others gather near the monument to pay respect on Memorial Days.